It’s common knowledge that people are not thoroughly educated about financial matters. It’s always been a silent wish of mine to replace advanced mathematics or biology in high schools with practical stuff for the kids to use in everyday life, part of which should be financial education. Not every parent is able to give their children good financial habits, plus money is really something we all work with every day, so it’s good to know what it’s all about. Just look at the numbers. 39% of American adults have ZERO non-retirement savings (National Foundation for Credit Counseling [NFCC]). Furthermore, more than half of adults (56%) do not have a budget (NFCC). And here lies the problem: 76% of college students wish they had more help to prepare for their financial futures (KeyBank). The low level of financial literacy in our country is alarming, and the fact that little is done to solve this situation is even more of a disaster, because it results in people falling into spirals of bad financial decisions, lack of emergency funds, and often also badly managed debt and poverty. We as loan officers, loan processors, real estate agents and mortgage bankers can help. By crafting or handpicking informative documents, presentations, programs or seminars and offering them to your clients — for free. Everybody’s talking about additional value these days. It’s because building relationships with prospects long before they become clients is becoming increasingly important. If you want people to choose you (and stick with you), providing excellent service is not a luxury anymore. Everyone prefers working with happy and confident people who are determined, self-aware, and know exactly what they’re up against. 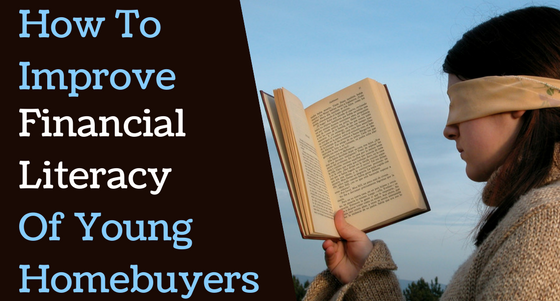 In order to help them become just that, there are several approaches you can take to support their homebuyer’s financial education. The local and federal government’s departments of education, various housing organizations and coalitions, public and private financial institutions, all of these offering freely accessible educational materials online. You can do research for some inspiration, and put together a self-study handbook, a presentation, or make an educational video. Partner up with a homebuyer counseling agency or individual, and you can start generating business for each other. You can either send your clients to their courses, or you can give out a particular counselor’s number to them. Having a trustworthy counselor at your side will be beneficial for everyone involved, plus your clients will know that they’re in good hands all along. This is more difficult to organize, but you can either partner up with a fellow loan officer or with educational agencies who’re more experienced in these matters. Here’s how such events might look, but you really don’t need to go that far. You can prepare a basic educational program and organize an event for your clients once a month. It can happen at your office, in a café, or even outdoors if you’re feeling up to it. It comes with a bit of planning and organizing, but for me it’s one of the best ways to bond with your clients and make them trust your work.